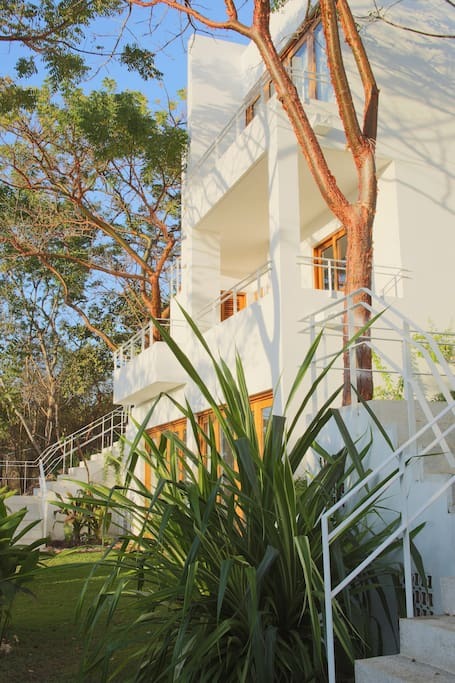 After a 45 minute drive from Puerto Vallerta Airport you will arrive at our Beautiful Boutique Villa located within the protected ecological reserve known as the Sierra de Vallejo, located in the heart of Riviera Nayarit in San Pancho. enjoy daily restorative & flow yoga classes with Singer, in-house massages, a personal chef to cook most of our meals, a day trip into San Pancho for lunch and dinner, daily maid service, a private pool and more. Our Villa is right on top of a mountain located at 505 feet above the sea level. 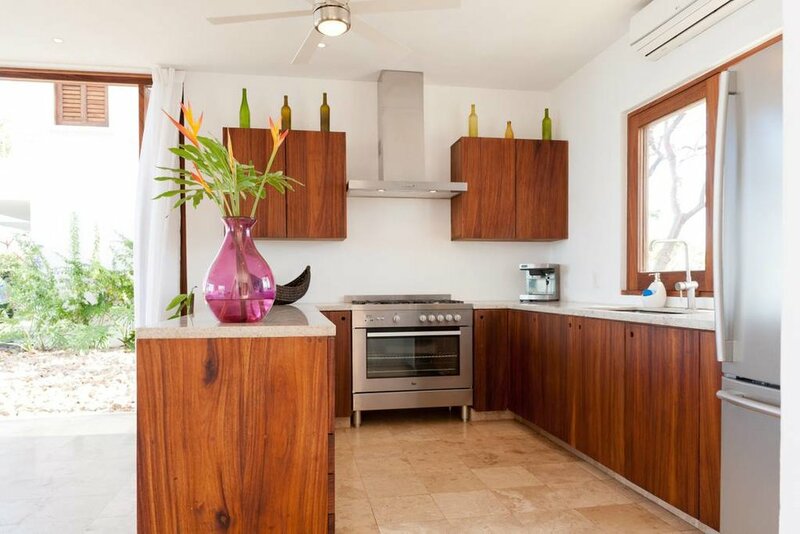 The Villa offers 360 unobstructed views of the sea and the surrounding mountains. With our private pool and a secluded beautiful beach a short 10 minute walk from the house, you’ll never want to leave! Book solo, with a friend or as a couple! 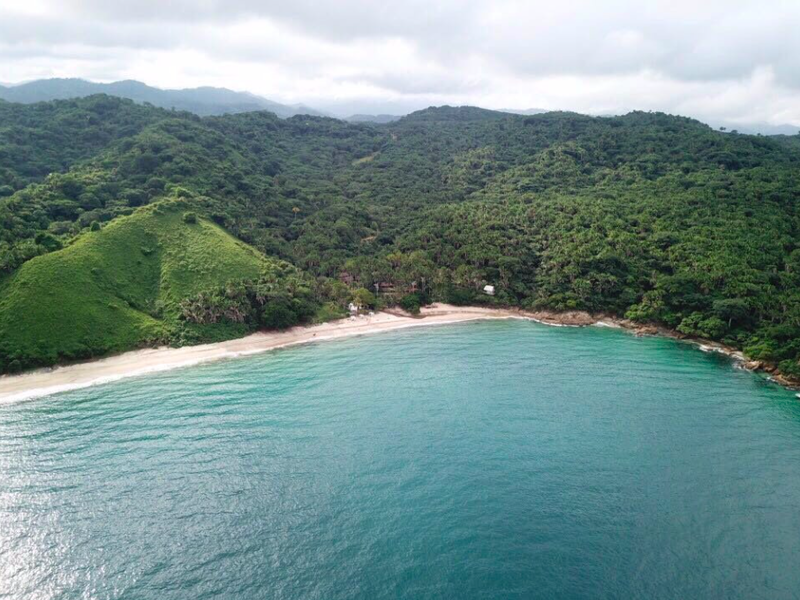 Help us pick dates for this upcoming 4 night/5 day retreat near Puerto Vallerta, Mexico! Check off the dates that work best for you (or check all if you are flexible). What does the cost cover per person? 1 Trip into San Pancho to Explore & Shop: Yogis will be responsible for buying their own Lunch and dinner in town on this day. Transportation included. Airfare not included * Arrive no later than 2pm to Puerto Vallerta Airport on first day of retreat. Depart no earlier than 2pm on last date of retreat. If your flights do not align with these times you are able to get your own taxi ride from the airport to our retreat villa (estimated cost, $50 each way). Master Bedroom with ocean view king size bed equipped with mosquito net, full bathroom and dressing room,marble floor and covers, tropical wood accessories, terrace and balcony. 2 bedrooms available with 2 twin beds each: with garden and jungle view, 1⁄2 Bathroom, marble floor, garden. Book with a friend or we will pair you up with someone! Each yogi already gets a complimentary massage on our second day at the villa. Want to get a massage all 3 days? Wed/Thur/Friday before we checkout on Saturday? Add up to 2 more massages! This is non-refundable and includes gratuity. Airfare not included * Arrive no later than 2pm to Puerto Vallerta Airport on Nov 7. Depart no earlier than 2pm on Saturday Nov 10th to take advantage of the group transportation included in this retreat cost.